When someone asked me what exactly “chicken” flowers were, I was embarrassed with my mouth open wide. Actually, they are flowers which students usually see during the examination season. When students go to and fro the examination centers, they can see the bright-colored flowers. These flowers are then unconsciously concealed in their minds. Whenever they see these flowers, they know it’s time for examination. When I was a student, I did not know much about flowers. That’s why I did not know the actual names of these flowers. Nonetheless, whenever I recall how sweaty my palms were and how smoky my forehead was when I sat for the examination, I could never forget how “chicken” I was. 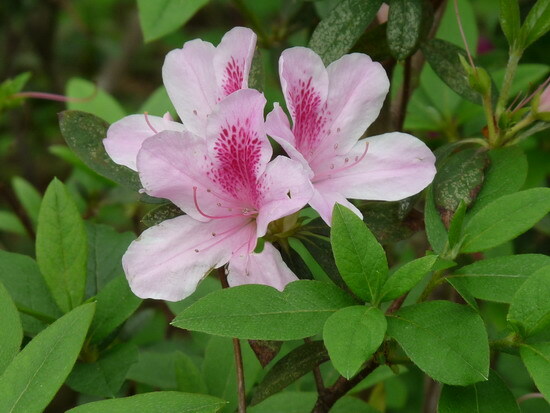 In general, Rhododendron is the genus of flowering plants which we refer as to “chicken” flowers. They full bloom in March when A-Level examination takes place. When you see students sitting in café revising, then it’s the flowering season of Rhododendron. Besides A-Level, May is also the peak season for HKCEE (will soon be replaced by HKDSE). 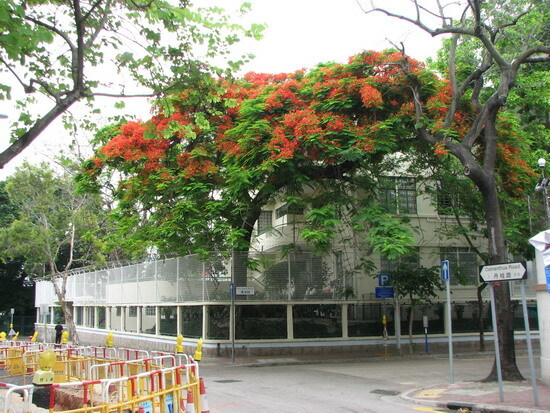 During which time the full blooming Flame of the Forest (Delonix regia) becomes the “chicken” flowers. It looks like the brightly colored flowers on the roadside always remind us of examination. Examination is miserable, but it will soon be over. In a blink of an eye, it’s time for a new semester! Once you get the insight of examination, you will not chicken out anymore.